That you will take the time to call on someone I hold dear. And so it's in God's nursery she spends this night asleep. Please find the time to call on her among the stars so bright. Then leave a little stocking hanging there upon her bed. Until we walk the golden path that leads to Heaven above. 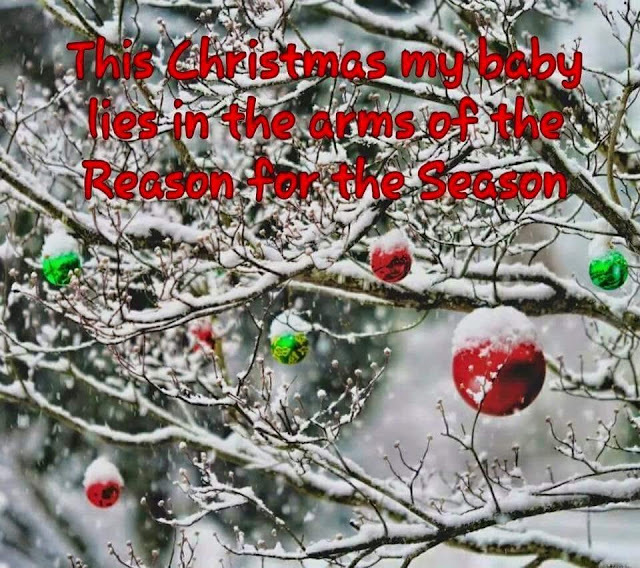 She will know that it is Christmas day for little ones in Heaven too. We love you & miss you every day. "I don't know how you have the strength...."
I've heard these comments a lot in the past 5 months. I know that people mean well when they say it. I just often don't know how to respond. Most of the time I say an awkward semblance of a thank you, and then change the subject. I don't feel strong. I feel broken. Incomplete. Shattered. Most of the time I think that if they had seen me earlier that morning, or just a moment ago when I was alone in my car...they probably wouldn't say those words to me. In the past, I might have smiled at comments like this. I might have felt proud of myself, or victorious in some way. But there is something about having your entire life shatter around you....there is something about hitting complete & utter rock bottom that shreds every single possible thread of ego you might have once had. Now I just realize how completely & utterly untrue those words are. I am not strong. I am weak. If all of this had been left to me...I would have curled up into a ball the night that Ellie died and never unwound myself. If it had been left up to me, I would have ceased to live the moment that her heart stopped beating. I say that because alone, this is too much for me. There is a quote that says we are never given more than we can handle. That, my friends, is total & utter crap. I'm learning that God did not create us to handle this life on our own. God created us to be in commune with Him. 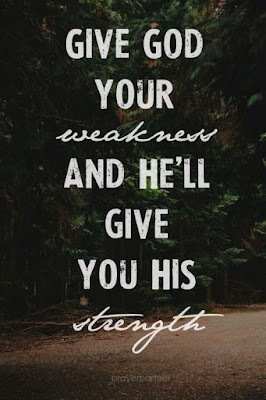 To cast our cares and our burdens upon Him. To rip open the death grip we have on our hurt & fear & anger and leave it at the foot of the cross, where we can look upon it and see redemption in it. I'm not where Paul was when he wrote that. I do not delight in this. I wish with every fiber of my being that my story was different. That my baby girl was healthy & sleeping in my arms right now. I can't listen to or sing the hymn "It is Well with My Soul", because well....it's just not. I am not strong. I am a woman that you see with tears rolling down her cheeks for no apparent reason. It might be at church. Or in a store. Driving my car. Pretty much anywhere can trigger that deep hurt & yearning I feel for my sweet Ellie. But through those tears, I ask God to help me take just one step further. And then another. And another. To help me get through the next second.. minute.... hour... day... whatever I need at that moment. I am not strong. 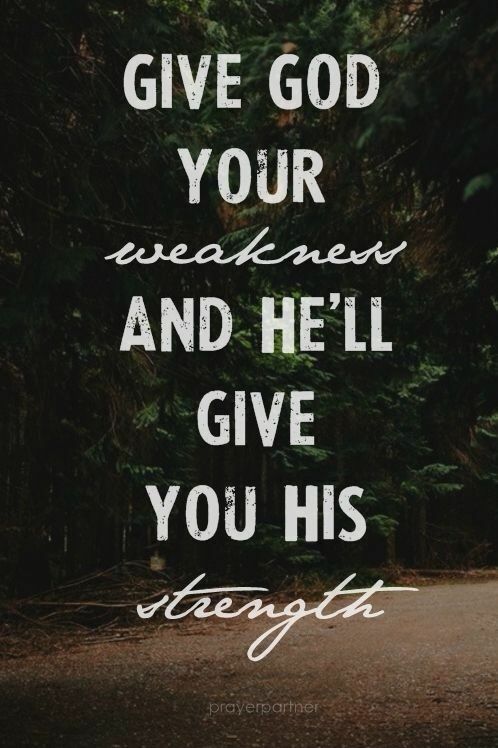 But when I give Him my weakness, He gives me His power. 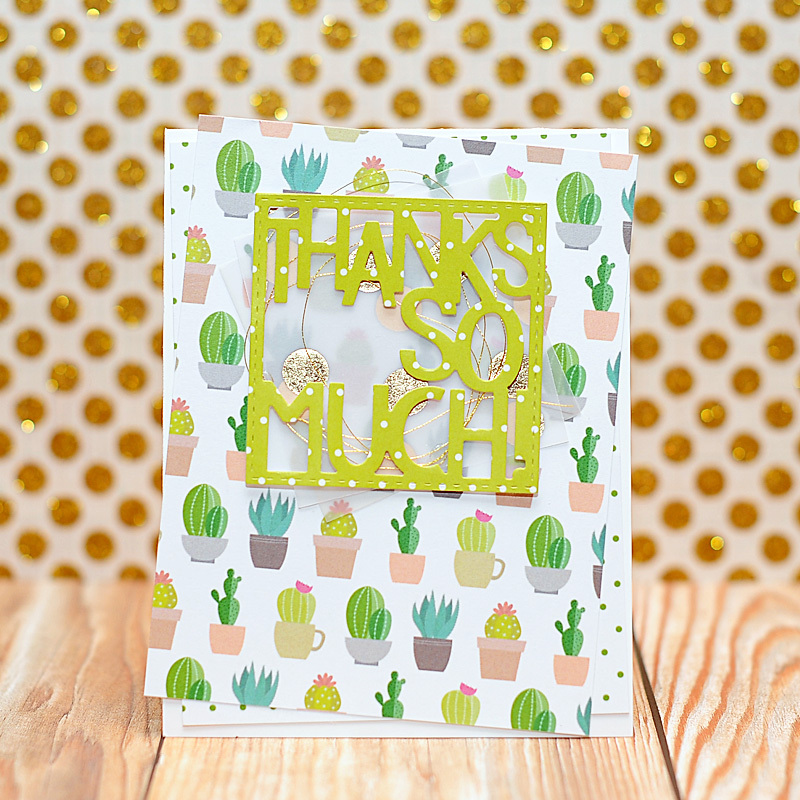 This is my final day of the Lil' Inker Designs December release, and I have one more card to share with you using some of the new items. I didn't do any stamping on this card, but used some of the new 6x6 papers & one of the new dies. I think it turned out pretty cute! 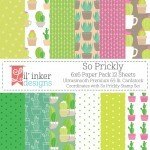 I grew up in Tucson, Arizona...so I'm pretty fond of the So Prickly papers. I've added a little bit of gold to my card, because I pretty much think that everything needs a touch of gold these days. And here is a link list to all the new product to make your shopping easy! Thanks for checking out my couple of cards for my first release back. I alluded to the fact that part of starting up again was making it feel safe. Part of that is finding ways that I think of Ellie while I create. So, for today I created a sympathy card. When we lost Ellie, there were very few moments during a day that I looked forward to. But I did look forward to getting the mail. I treasured each & every single card that was sent, and I looked at them a lot during those first 8 weeks. I don't look at them as often now, but I do still have them. And they will stay with Ellie's box of items forever. 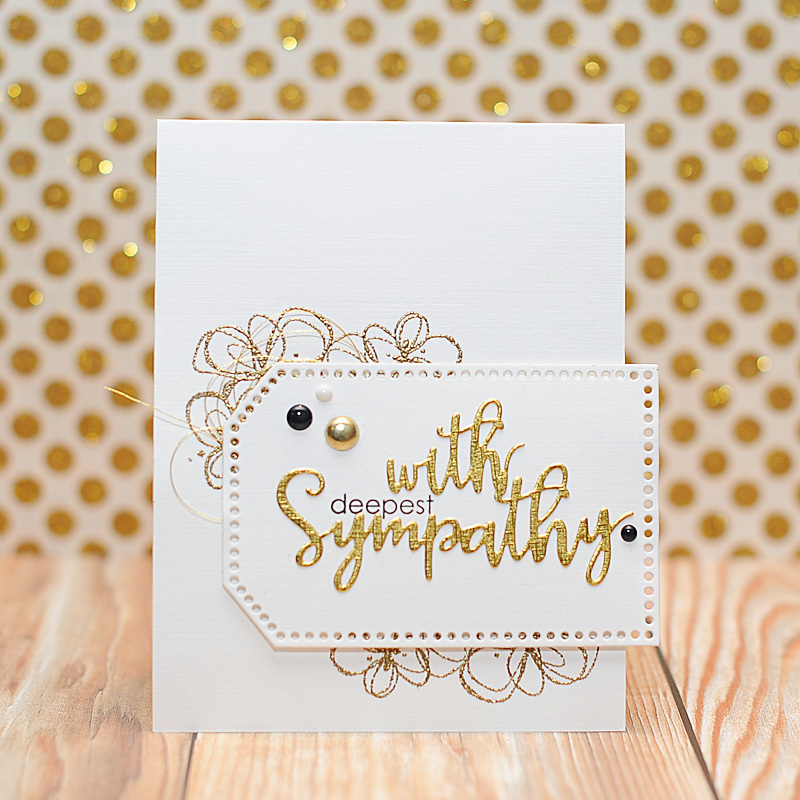 I chose an elegant white, black & gold color palette for my card, & kept it quite simple. I will be back tomorrow! Thanks for checking out my card today.